I am a gal that can enjoy a good homemade risotto any time of the year. It is pretty much my adult version of mac & cheese. A sophisticated take on comfort food, if you will. But there is just something about a good spring risotto- Am I right? 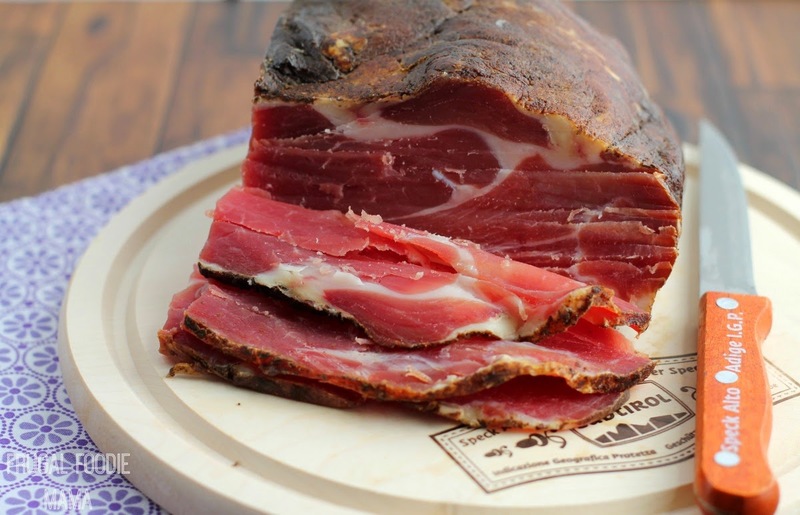 When Speck Ham approached me about becoming their April Speckulator a couple of weeks ago, my mind was just spinning with the many ways that I could enjoy and prepare their amazing Italian ham that has been prepared and smoked using the same family recipe that has been passed down for generations. 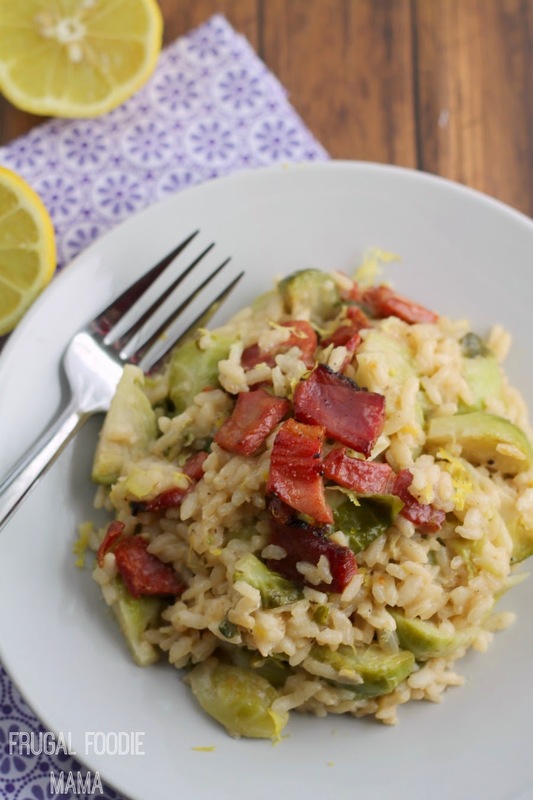 But ultimately, I knew that the smoky saltiness of their Speck Alto Adige ham would pair perfectly with bright lemon, fresh Brussels sprouts, and creamy risotto- a dish perfect for your spring dinner table! Bring the broth to a simmer in a medium saucepan over medium-high heat. Reduce the heat so the broth remains steaming, but is not simmering. Heat the oil in a Dutch oven or large, deep skillet over medium-low heat. Add in the diced ham, and cook until crispy. Remove from the ham from the pan/pot to a paper towel lined plate with a slotted spoon. Add in the shallot & quartered Brussels sprouts and saute until softened, about 2-3 minutes. Add in the rice and salt and stir to coat. Toast the rice for 2-3 minutes. Stir 1/2 cup of the hot broth and a generous splash of white wine into the rice. Cook, stirring frequently, until the liquid has been absorbed. Continue to cook on medium-low, adding broth in 1/2 cup increments followed by a splash of wine, and stirring frequently after each addition, until most of the liquid is absorbed. The risotto is done when you have used all the broth and wine and the rice is creamy and just tender, 25 to 35 minutes total. During the last 5 minutes of cooking time, stir in the crispy ham to warm through. 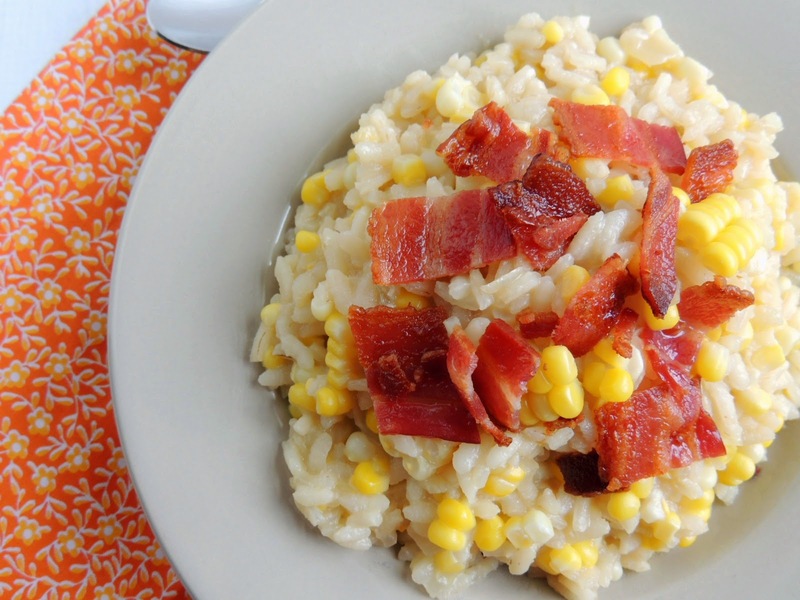 Reserve some pieces of the ham for garnishing each plate of risotto, if desired. Remove from the heat. Stir in the mozzarella cheese, lemon juice, and lemon zest. Give the risotto a taste and season with salt and pepper as needed. 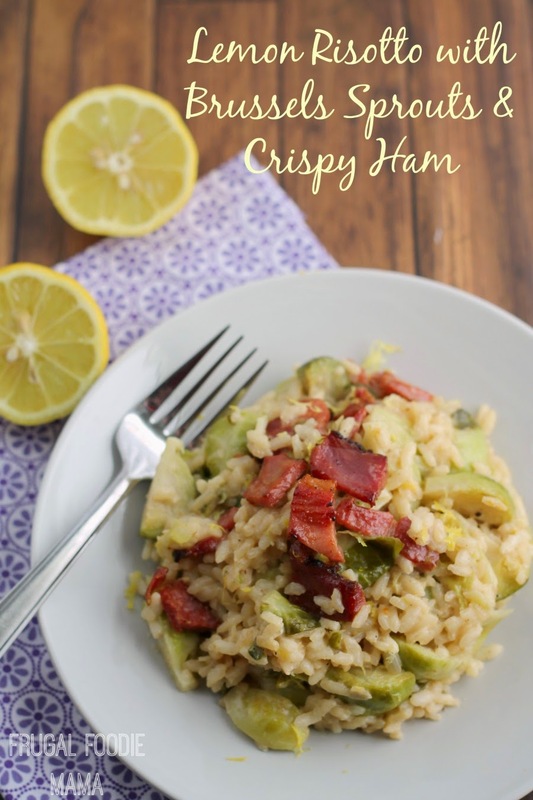 Garnish with a little fresh lemon zest and the reserved crispy ham pieces before serving. 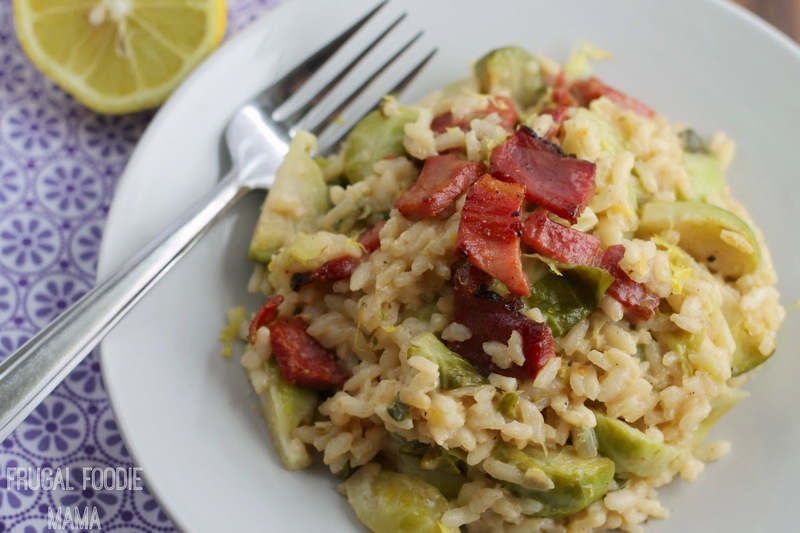 *Adapted from this recipe for Basic Risotto from Eating Well.